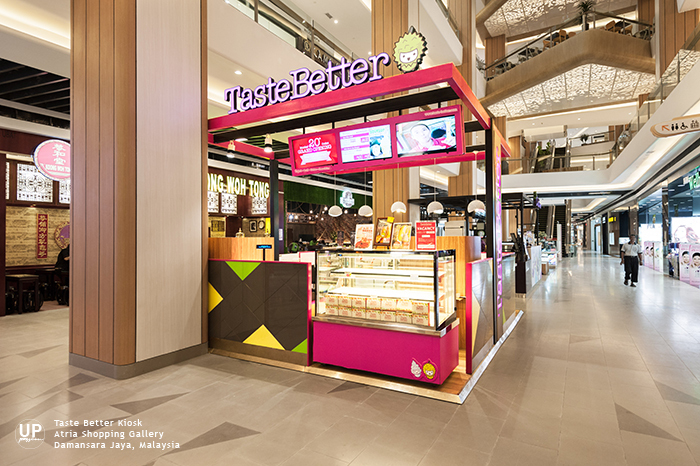 A food & beverage company with over 20 branches in Malaysia, Singapore & Indonesia. For this branch, the client required a brand new concept from other of their existing branches. 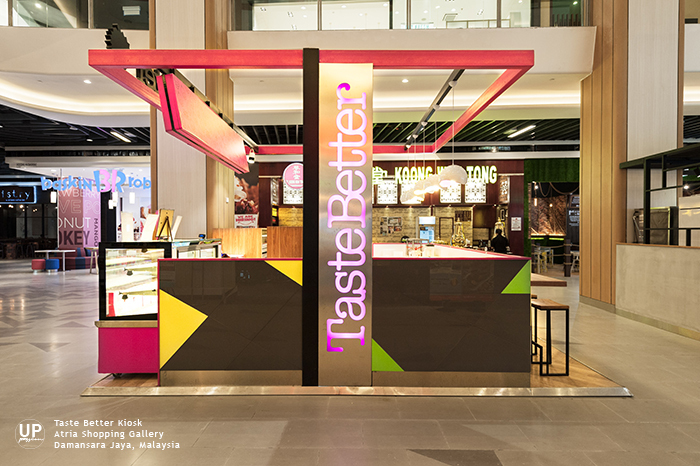 So as the outcome, a striking, modern, sleek and neat design for the kiosk. 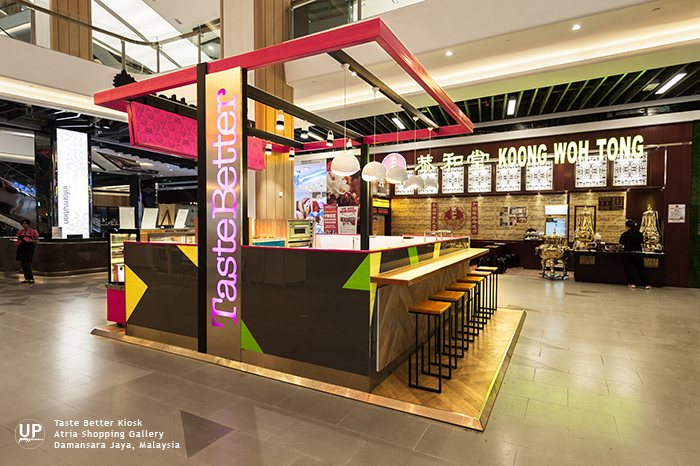 A seating area that placed facing to the preparation counter to showcase how every products hand-crafted to their best. 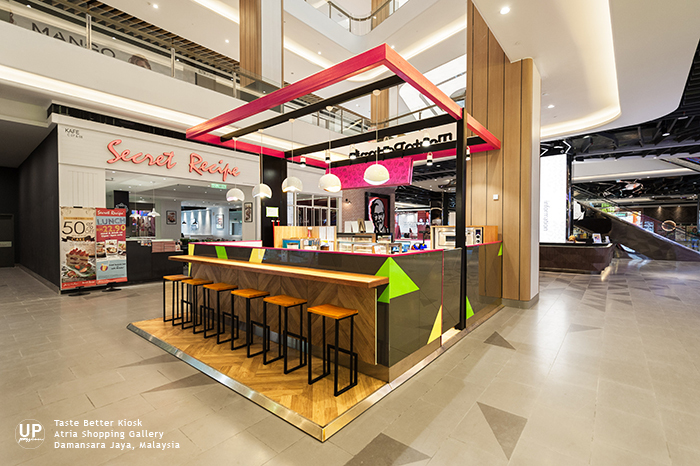 With open kitchen concept, it will attract and build up customer confidence to the products by their preparation process, which also show the client's commitment to take care every details from quality to cleanliness. Add on the color of grey and glass materials embellished with their corporate color, hence the kiosk is outstanding among others.